The perseverance of the Wright brothers forever altered the landscape of our country’s prosperity and communications. Orville and Wilbur Wright were famous for building and flying the first airplane. Still in their 20s, they began to rent and sell bikes. Soon, they even manufactured them. 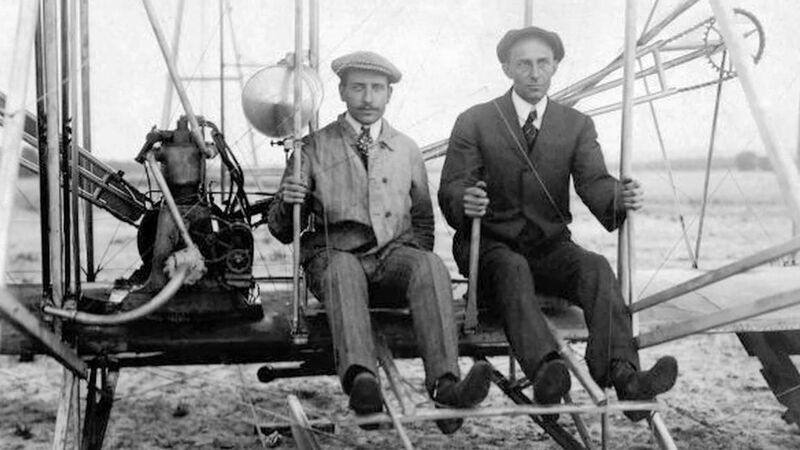 In 1900 and 1901, these inventors experimented with gliders, but their prototypes failed. Having found the perfect wing shape for the glider, they took it to Kitty Hawk, North Carolina, to test it. The dunes surrounded the enormous field of sand. Salt lingered in the air as did excitement. The diligently determined duo continued to improve their invention, and by 1915, the plane could fly 24 miles. Although the creative entrepreneurs’ invention unwittingly fostered the development of globalization, airplanes have resulted in positive ways for today’s world, as well. This entry was posted in Homeschooling, Houston by reba. Bookmark the permalink. Houston, your article is filled with facts. Now I know a lot more about the Wright Brothers. Good Job! Houston, your article is not only full of interesting facts but fun to read. There are many journalist today that would love to write as well as you. Funny, though, a large number of them think the DO write this well. They don’t realize the competition lurking in NC. Papa really enjoyed this, too. He said to tell you”great job”.